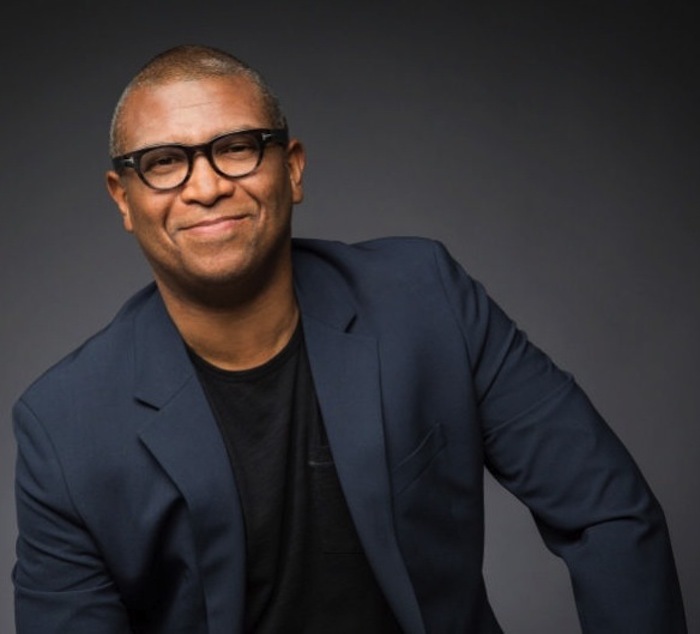 Reggie Hudlin is this week’s African-American Heritage Month living legend. Hudlin is a pioneer of the modern black film movement, creating movies like “House Party,” “Boomerang and “Bebe Kids,” which are some of the most profitable and influential films of his generation. The Oscar-nominated writer, producer and director co-produced last year’s 88th Academy Awards and for the last few year’s he’s also been the producer of the NAACP Image Awards. Hudlin continues to be a force to be reckoned with after decades of being one of the most successful figures in Hollywood. Hudlin was born in Centreville, Illinois, the son of Helen Cason, a teacher, and Warrington W. Hudlin Sr., an insurance executive and teacher. His older brother, Warrington Hudlin, is also a film director, as well as an actor and producer. While an undergraduate student at Harvard University, Hudlin directed a short film entitled, “House Party,” which went on to receive numerous awards, including first place at the Black American Cinema Society Awards. It would serve as the basis for his first feature film of the same name. He also directed “The Great White Hype,” “The Ladies Man,” “Serving Sara,” two episodes of the TV series “Modern Family,” an episode of “The Office,” an episode of “The Middle” and several episodes of “Outsourced.” He was a reoccurring producer and director of the “The Bernie Mac Show” for three years. From 2005 to 2008, Hudlin was the president of sntertainment for BET. He was the writer of the Marvel Comics series “Black Panther” from 2005 to 2008, most notable for the 2006 storyline “Bride of the Panther,” which saw the characters Storm and the Black Panther wed. He was one of the producers of Quentin Tarantino’s “Django Unchained,” starring Jamie Foxx, Leonardo DiCaprio, Christoph Waltz, Kerry Washington and Samuel L. Jackson. On Jan. 10, 2013, Hudlin received an Oscar nomination for Best Picture for the film. And on a personal note, Hudlin is married to Chrisette Suter, who is now a friend of mine. But it didn’t start out that way. I met her several years ago as I attempted to lead a protest at a Hollywood event she was in charge of. She quickly corralled me and other protestors to hold off on the protest and wanted to have a deeper dialogue concerning our issues. We complied and things did work themselves out. I have nothing but respect and admiration for the Hudlin family. As Hudlin prepares for this week’s Image Awards, it appears to be the best show yet. Historian, author, curator and educator, Lonnie G. Bunch III will be presented with the NAACP President’s Award at the 48th NAACP Image Awards telecast live from 6 to 8 p.m. on Feb. 11 on TV One. The President’s Award, chosen by NAACP President and CEO Cornell William Brooks, is bestowed in recognition of special achievement and distinguished public service. Past honorees include John Legend, Van Jones, President Bill Clinton, Soledad O’Brien, Ruby Dee, Muhammad Ali, the founding Members of the Black Stuntmen’s Association, Kerry Washington and Spike Lee. Congratulations go out to Hudlin for his decades of success and achievement in Hollywood.